Popular Facebook Page owned and managed by Carlos Munda MindaVote slams controversial lawmaker, Sen. Grace Poe for her statement saying that the Department of Transportation (DOTr) failed on their mandate. The claims of Sen. Grace Poe was responded with a huge list of DOTr accomplishments. According to MindaVote, Sen. Grace Poe should realize that she doesn't understand well the real mandate of the DOTr and its accomplishments during the current administration of Pres. Rody Duterte. The popular FB Page reminded the lawmaker that with the huge number of accomplishments of the DOTr under the leadership of Sec. Art Tugade and not only with the MRT problems but also with the already solved problems at the ports, airports and other sectors of transportation in different parts of the country. Sabi ni Grace traPoe, bagsak daw ang grado ng DOTr dahil may mga dapat pa daw ayusin sa MRT. Palibhasa medyo maliit ang utak kaya hanggang doon lang ang kaya nyang intindihin tungkol sa kabuuang trabaho ng departamento. Para naman malinawan si Ms. TraPOE, eto po ang listahan ng mga accomplishments ng Department of Transportation, sa pamumuno ni Sec. Art Tugade, so BUONG BANSA. Hindi lang sa MRT, kundi sa mga pantalan, airports, at iba’t ibang sector ng transportation dito sa Pilipinas. 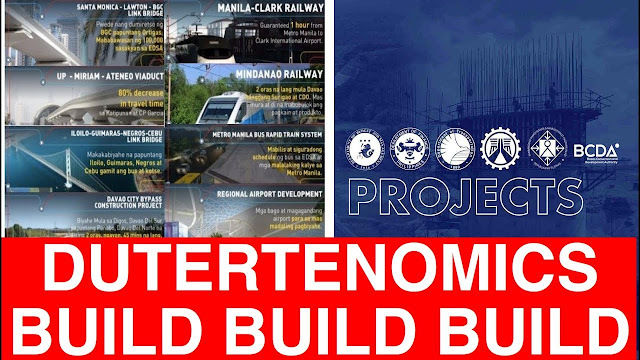 In the past two years, the DOTr has delivered big-ticket transport infrastructure projects under the Duterte administration's 'Build, Build, Build' Program to increase connectivity and enhance mobility of Filipinos across the country. The DOTr also remains steadfast in its campaign for good governance by establishing systems and processes that espouse transparency and accountability. Inspired by President Duterte's challenge to make Filipino lives comfortable, DOTr together with its hardworking attached agencies committed to deliver high impact projects which would ultimately promote inclusive growth across all transportation sectors. • The MARINA has completed the submission of its proofs of compliance with the European Maritime Safety Agency (EMSA) that aim to close the gap of its noted areas of improvement in the country’s maritime education, training, and certification system of Filipino seafarers. * Three (3) state-owned agencies under DOTr remitted more than PhP11-billion to the national treasury, and were listed among the GOCCs with the highest amount of dividends remitted to the country’s coffers for 2017. Topping the list is the Civil Aviation Authority of the Philippines (CAAP), while Philippine Ports Authority (PPA) ranked as 2nd, and the Manila International Airports Authority (MIAA) ranked 7th. Last year, the DOTr also secured a seal of approval from the International Organization for Standardization (ISO), attesting to its quality standards in public bidding processes. The DOTr's mission remains: to deliver fast, safe, reliable and convenient transportation services. Together with its attached agencies, the DOTr vows its utmost to provide the mobility and connectivity that Filipinos truly deserve.